The Heart of any Martial Art is the Teacher. My name is Don Anderson and I’m excited to be part of an amazing school where children thrive and parents grow. 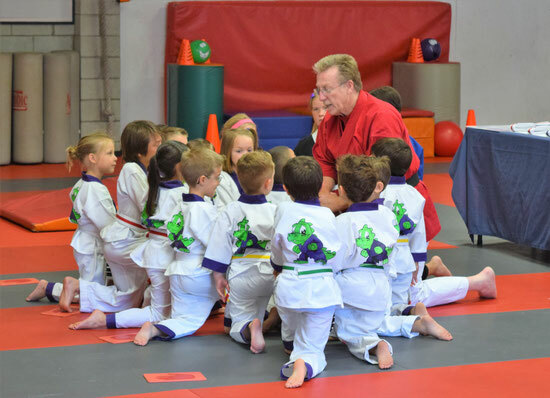 As the owner and chief instructor for our Lil Dragons Children’s Martial Arts program, I see first-hand the impact kids karate classes can make on preschool aged children and their parents. These are magical years for your kids and I am blessed to be a part of it. You will be amazed as you watch them grow and explore their new self-image and marvel at their willingness to try harder as they develop a “can do” attitude. The parents also benefit in a very unique way as we partner with you to provide new tools and the knowledge to use them during your child’s journey to Black Belt. I am passionate about the art of building good character in your children. I hold a 2nd degree in Hapkido, but I am a Master at keeping it fun, positive and encouraging as we learn discipline and mutual respect in a safe environment. I invite you to come in and get to know your child’s teachers, and together we can guide your kids on this wonderful adventure as it unfolds before them. I am dedicated to bringing out the best in your kids through our Pre-K martial arts program. Please contact me any time with any questions. Every child is different, tell me what your child needs and let's see if martial arts will be a solution for your child's unique situation.